Paul's 30-year old Redbird is still sporting its original fibreglass exterior, highlighting the importance of a good maintenance program. That's the motto of Paul Burns, the owner of the Lone Pine Canoe Company in Bracebridge, Ontario, and it applies to what you paddle as much as to where you paddle. He takes a personal interest in each project that enters his shop and he loves delving into the history and 'the story' behind the watercraft that he's working on. His love for canoe-building started at the age of 14 when he built his first wood-frame / canvas Kayak as part of a club in high school. Inspired by his teachers, who had built their own cedar strip canoes, he had finished building his own Redbird by the time he graduated from high school in 1987. In 1988 he moved to Bracebridge where he started working at Muskoka Fine Watercraft and he went on to spend 12 years learning the trade from experienced canoe builders. Thereafter he continued working part-time with canoe construction until 2013, when he was able to open his own workshop, where he specializes in canoe repairs and restorations on a full-time basis. 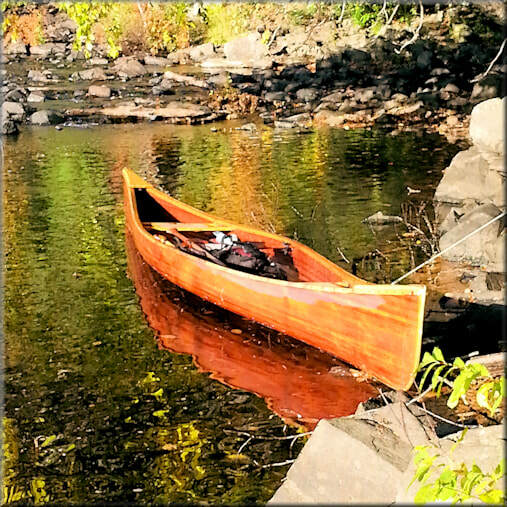 Lone Pine Canoe Company is a member of the Wooden Canoe Heritage Association and the Wooden Canoe Builder's Guild. Both of these organizations are committed to preserving the heritage and the craft of wooden canoe building. Their members are focused on building, restoring, preserving, and of course, paddling, wooden canoes.